It’s a strange day when Yale University Press appears in the New York Times‘ blog The Moment, which more often chronicles $600 Armani tshirts and other such nonessentials. But that’s just what happened today when the blog posted an item about Lived in London: Blue Plaques and The Stories Behind Them. 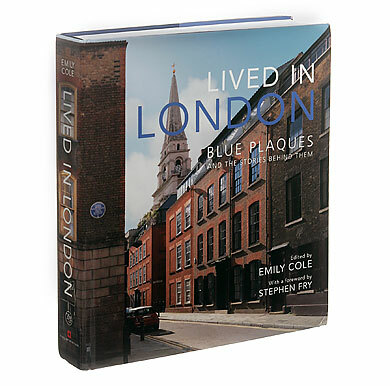 The book, out this week from YUP, is a guidebook–albeit a 10×11″, seven-pound guidebook–to the ubiquitous historical markers that can make a stroll down even the lowliest London street into a delightful history lesson. That does look pretty cool, and strangely more practical than a $600 shirt.